Please stop editing your post so many times. If you want to amend it add an “update: …” or “edit: …” to the end. Otherwise a lot of confusion will ensue. As far as I understand currently you are running it from console. 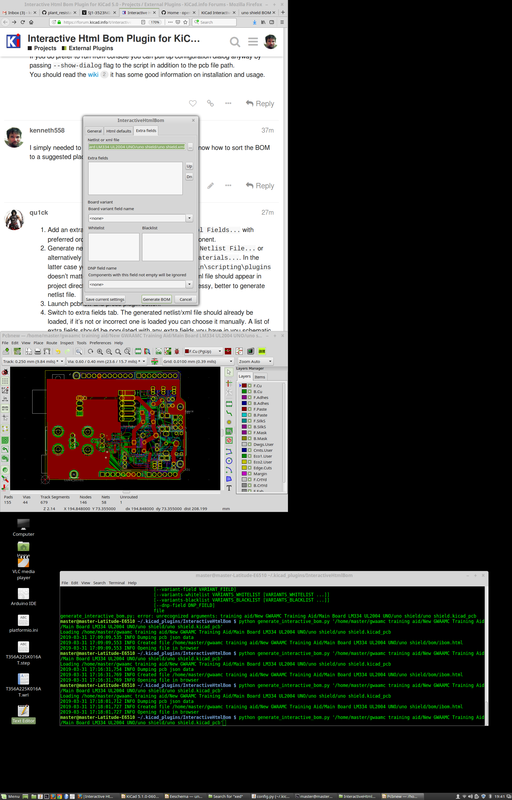 You don’t have to, since KiCad v5.1 this plugin works from GUI on latest Linux distributions. If you do prefer to run from console you can pull up configuration dialog anyway by passing --show-dialog flag to the script in addition to the pcb file path. You should read the wiki it has some good information on installation and usage. Add an extra field in schematic Tools->Edit Symbol Fields... with preferred order of populating the board for each component. Generate netlist from eeschema Tools->Generate Netlist File... or alternatively xml file Tools->Generate Bill Of Materials.... In the latter case you can select any plugin from KiCad5\bin\scripting\plugins doesn’t matter which one, just press Generate, an xml file should appear in project directory. You can ignore errors. Overall it’s messy, better to generate netlist file. 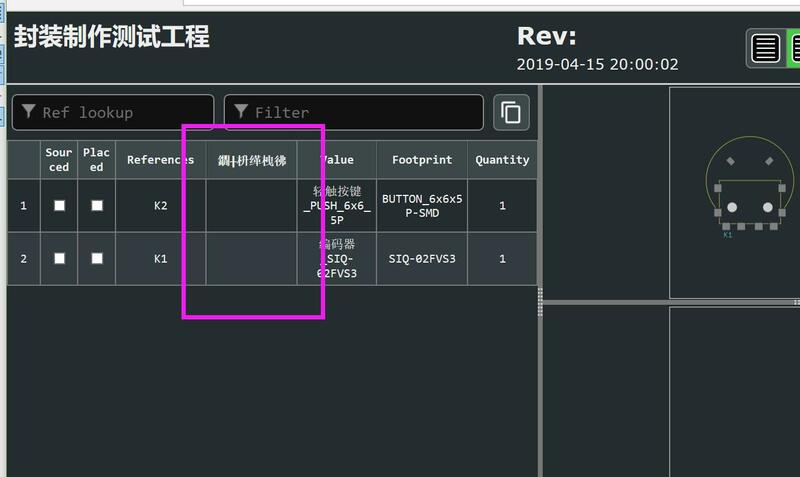 Launch pcbnew and press plugin button. Switch to extra fields tab. The generated netlist/xml file should already be loaded, if it’s not or incorrect one is loaded you can choose it manually. A list of extra fields should be populated with any extra fields you have in you schematic. Tick off the ones you want. Generate BOM. It should have your extra field as a sortable column. Just click on the header cycle between normal->ascending->descending order. Keep in mind sorting is just alphabetical strings comparison so ‘11’ will be less than ‘2’. Add padding zeros if needed so that ‘02’ will be less than ‘11’. The new field doesn’t seem to become persistent regardless of which button I use “Apply, Save…” or “OK”. Proceeding further along your instructions confirms to me there was no field added. I suspect a problem/bug doing this under Mint: The “Extra fields” listbox under the “Extra fields” tab is totally blank. Totally. Or I need to examine all my path settings? Edit: Yes, I followed step 2 and 3 as well…to the letter. Edit:The XML file simply never picks up my explicitely created new field though I tried several different paths through your instructions. What is the name of your new field? It’s not in the xml file. When you add new field in Tools->Edit Symbol Fields dialog you have to add at least one value otherwise it will not be persisted. Try that and regenerate xml file. I never tried populating the new field. Let’s call this problem RESOLVED. Thank you very kindly!!! Please share the project files (pcb, schematic, netlist) to help me debug this. Also it appears that you are same person that filed #89 on github so why not file this one too? Yes, # 89, that’s me. I uploaded my test project. 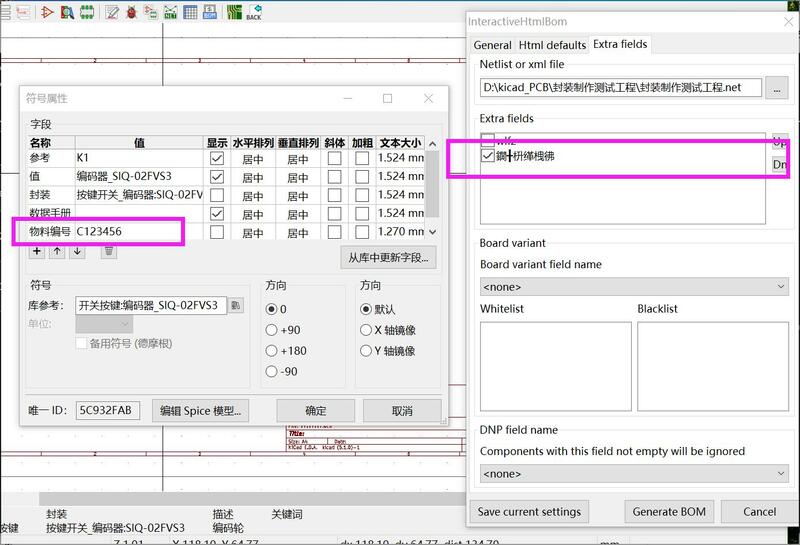 Both the component footprint name and the field name are expressed in Chinese. This problem has only recently been discovered. I am building my own component library to link PCB SMT manufacturers in China. So I need to use this Chinese field, of course, also I can use English, But that’s not my mother tongue., the expression is not very clear, some components do not know how to express in English. Thanks, I just pushed a fix. Let me know if it works, it does for me. Yes, it works well now. thanks. Also bunch of bug fixes. Try it out and have fun! Unless you are using git checkout it’s best to delete previous version before installing this one (you can transfer config.ini file).